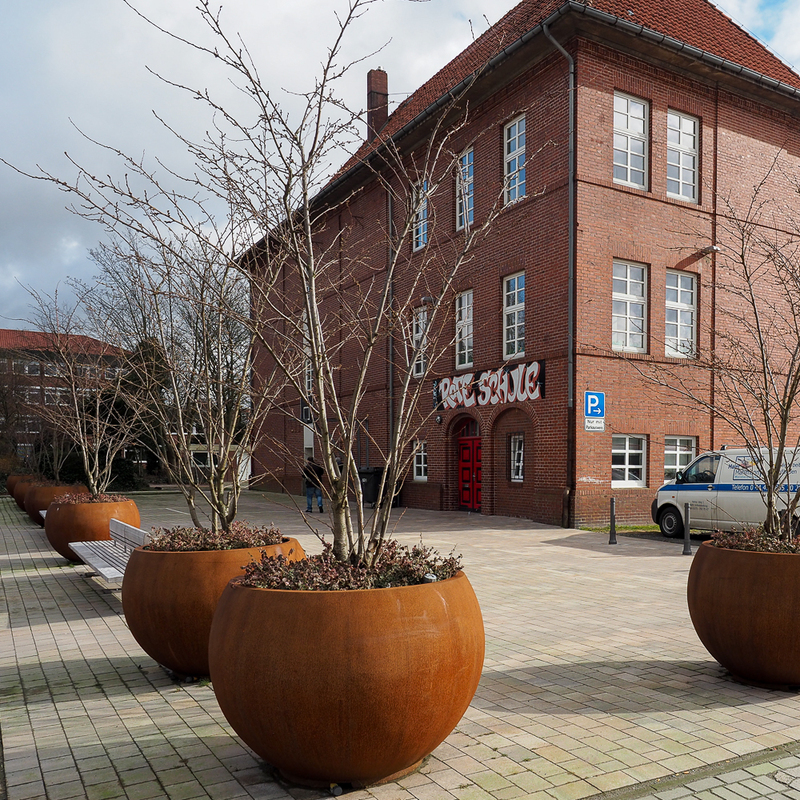 Globe Tree Planters are geometric spheres made of CorTen steel that create a playful, unusual streetscape. 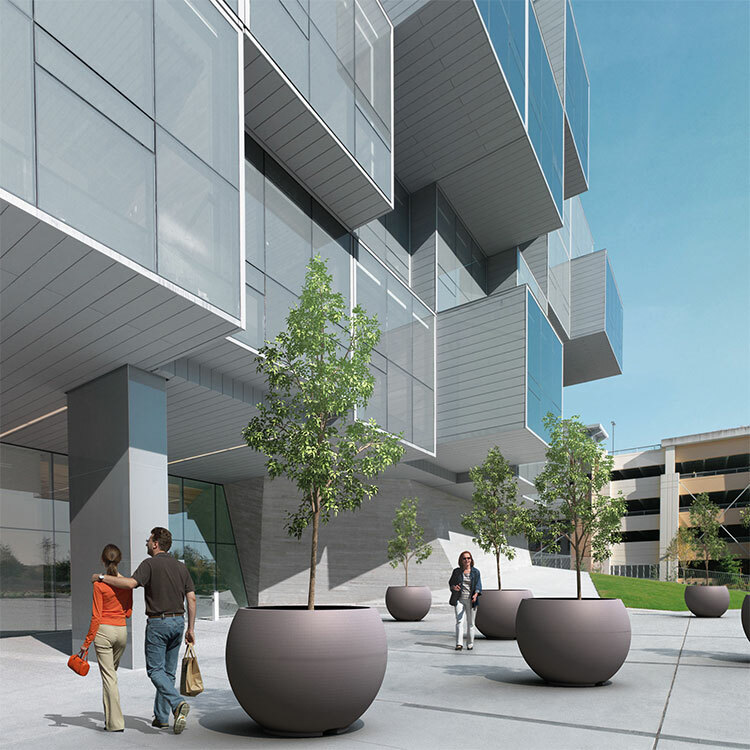 If required, they can be finished in a RAL colour, double-layered powder coating. The smaller versions comprise half a sphere. 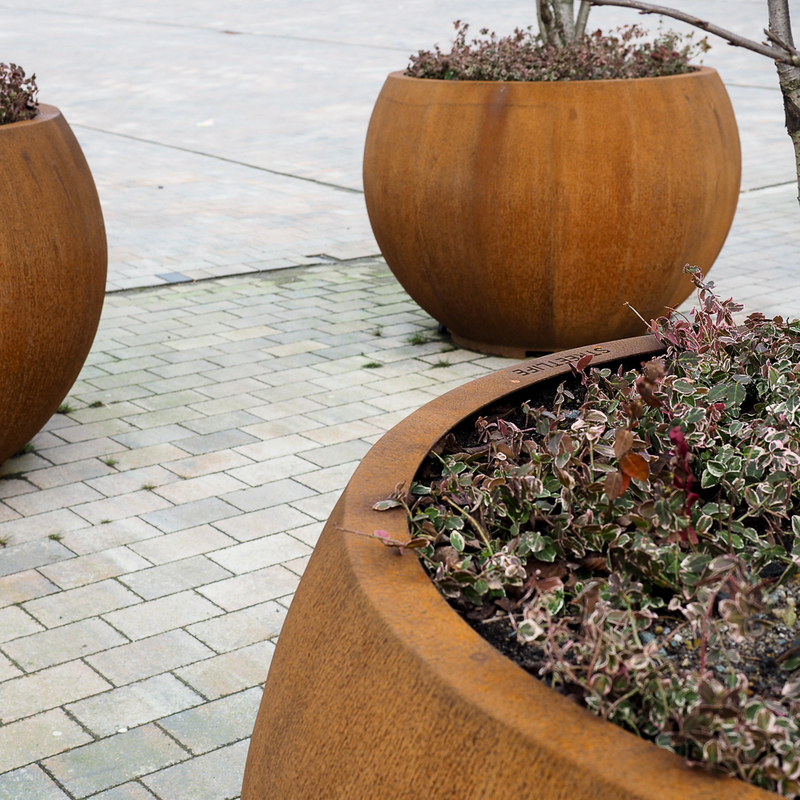 The tubs have been meticulously finished with a wide, continuous edge in CorTen steel. 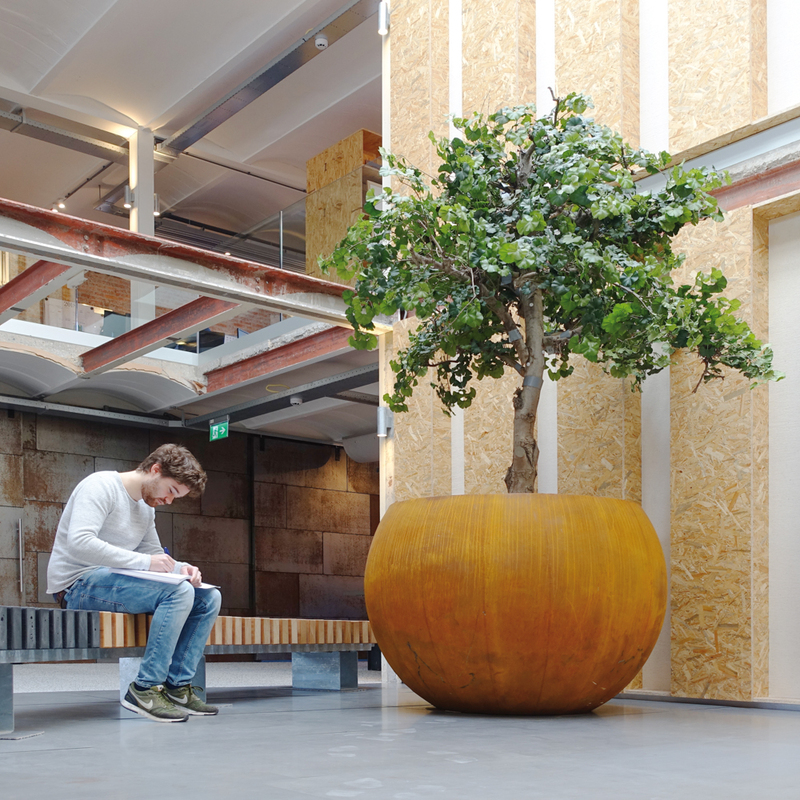 We recommend that the Treetec® Bottom Up System is applied in combination with sculptural multi-stemmed trees. Available in heights of ca.73 or 110 cm | 29" or 43"